City Opera Vancouver » Blog Archive » DTES Recital Series returns for four performances in May. DTES Recital Series returns for four performances in May. City Opera Vancouver today announced a new recital series for residents of the Downtown Eastside, Strathcona and Chinatown. “In May, we will be giving four more free recitals in our neighbourhood,” said City Opera President Dr Nora Kelly. “We will be bringing great and beloved music to the people we have a special mandate to serve. “City Opera has been offering wonderful music to the neighbourhood since 2005. In our new series, ‘Music To Live By’, we are offering soprano Michelle Koebke and pianist Miri Lee, two of our most accomplished young artists,” added Kelly. NB: This recital will be televised on Shaw Cable, courtesy of Fearless TV, a project of the Community Arts Network. Sid Tan, producer. 2pm, Dr Sun-Yat Sen Centre, with S.U.C.C.E.S.S. ‘Music To Live By’ will include Mozart, Puccini, Verdi, Wolf, Schubert, Moore, Fauré, and Bernstein, Gershwin and Sondheim. City Opera Vancouver is a professional chamber opera company to be resident at the Pantages Theatre. It recently announced its first chamber opera commission: ‘Pauline’, to star the great Judith Forst, with music by Christos Hatzis and libretto by Margaret Atwood. City Opera Vancouver operates in partnership with the Community Arts Council of Vancouver. 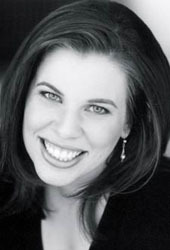 Michelle was one of eight singers chosen nation-wide for Calgary Opera’s 2006/7 ‘Emerging Artist Program’ where she premiered the role of ‘Kate’ in Esactio/Murell’s Frobisher, broadcast on CBC Radio Two. Michelle has won many awards and competitions, including the "BC Festival of the Arts", in which she represented Vancouver. Recently, Michelle has been seen as guest soloist with Sinfonia: Orchestra of the North Shore; in a solo recital for Burnaby Lyric Opera; and, with the UBC Early Music Ensemble. She also performed the role of 'Adele' in Die Fledermaus for Burnaby Lyric Opera this spring. This young singer, recognized by the 'BC Entertainment Hall of Fame’ in 2001, has performed leading operatic roles in Vancouver, Toronto, and the Czech Republic. Upcoming, Michelle will travel to the Czech Republic, Italy and China to sing 'Donna Anna' in Mozart's Don Giovanni. 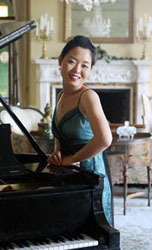 An award-winning soloist, piano teacher, and sought-after accompanist, Miri Lee (www.pianistmiri.com) received undergraduate and Masters degrees in music performance from the University of British Columbia, and holds an Associate of the Royal Conservatory of Toronto music performer’s diploma. She is an in-demand wedding accompanist, the director of music at St. Alban’s Anglican Church in Richmond, and the winner of numerous trophies and scholarships from piano competitions. In 2005, Miri was selected by CBC Radio to perform in a national broadcast. Beside her life at the keyboard, Miri loves reading, playing with her dogs, and ballroom and salsa dancing.